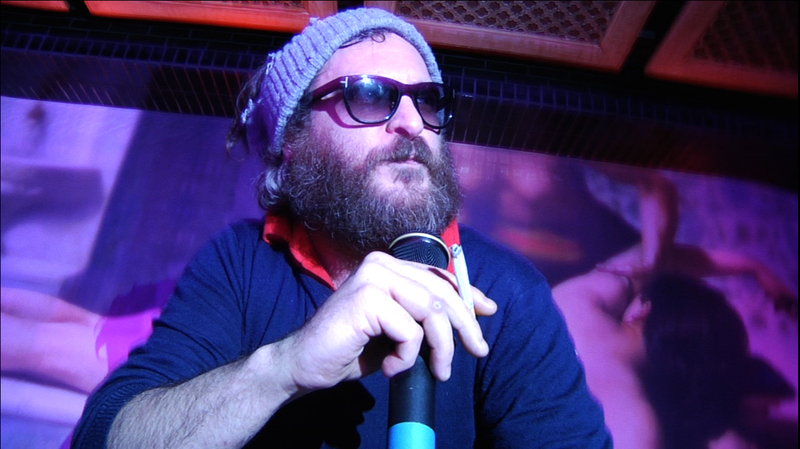 Joaquin Phoenix almost torpedoed his career with a faux-flameout in the celebrity mockumentary I’m Still Here (totally worth it, in my opinion). According to Variety, he’s getting back on track in the most exciting of ways. Phoenix is in talks to star in Paul Thomas Anderson‘s Untitled Religious Drama (formerly known as The Master) as right-hand man to a charismatic, L. Ron Hubbard-esque cult leader (to be played by Philip Seymour Hoffman). The role originally belonged to Jeremy Renner, but when the project was delayed due to a lack of funding, Renner moved on. Of course, billionairess Megan Ellison stepped in to fund Anderson’s controversial, Scientology-baiting project, and even his adaptation of Thomas Pynchon’s Inherent Vice. It is unknown which project will enter production first. We’re just happy steps are being taken on either! Discuss: Glad to see Phoenix return to the limelight?